On Saturday at 10 a.m., White Pine will be hosting the next installation of the Smartwool Wasatch Citizens Series. Everyone is invited to try their hand at the Nordic event. Saturday's race will be a 15-kilometer free technique race. Registration opens 90 minutes before the start of the race and closes 30 minutes before the race. Tryouts for our competitive club teams will be held at the Basin Rec Fieldhouse on the following dates. 8-and-under, 9U, 10U and 11U tryouts will be held Tuesday, Jan. 6, from 4-5:30 p.m. and Saturday, Jan. 10, from 9-10:30 a.m. 12-and-under, 13U and 14U tryouts will be held Tuesday, Jan. 6, from 5:30-7 p.m. and Saturday, Jan. 10, from 10:30 a.m. to 12 p.m. All interested players must register and attend one or both of the tryout sessions. There is no fee to try out. To register for tryouts and for more information, please visit www.parkcitybaseball.org/avalanche/ . The PC MARC is offering a special Dryland Training program for individuals seeking personal training in a high-energy, group setting. The class will be held Jan. 5-30 on Mondays, Wednesdays and Fridays from 1:30 to 2:30 p.m. Featuring interval training designed to boost endurance, the class is led by Jessica Kelley, a former alpine athlete for U.S. Ski Team. The class fee is $145. For info and to register, visit parkcityrecreation.org or call 435-615-5400. The PC MARC's Adults at the Barre class focuses on traditional ballet technique with instruction that includes barre, center floor and movement across the floor while emphasizing correct posture and body alignment. Taught be Joanne Rupinskas, the class takes place Jan. 6 to Feb. 19 on Tuesdays and Thursdays from 1 to 2:30 p.m. The fee is $145. Register by Jan. 4. For more info, visit parkcityrecreation.org or call 435-615-5400. PC Recreation's Youth Karate teaches children life lessons that build self-esteem, confidence, respect and fitness. The next session will be held at the PC MARC Jan. 5 to Feb. 11, and each group meets twice per week. Classes are grouped into Tiny Tigers, ages 4 to 6, Ninjas (beginners 7 and up) and Intermediate Ninja. For info and to register visit parkcityrecreation.org or call 435-615-5400. A presentation on avalanche awareness will take place at the Park City Visitor Center on Feb. 21, 2015, from 10 a.m. to 1 p.m. The presentation will focus on awareness relating to snowshoeing in Wasatch Mountain State Park. Four experienced patrollers and snow safety professionals from the Canyons and Park City Mountain Resort will present a lecture and field demonstration concerning snowpack analysis and backcountry travel safety. The lecture will be in the Visitor Center for the first hour. Then it will travel up to Mill Flats parking lot for a snow pit analysis lesson. Dress to be outside in snow. Midway Adventure is sponsoring this event and the Friends of the Wasatch are providing light refreshments. Please contact Nancy O'Toole at 435-671-1453 or Kathy Donnell at 435-654-1791 with any questions. Early winter classes are starting up at the Park City Ice Arena. Monday classes will run from 5:30-6:15 p.m., beginning Jan. 5. Monday's will feature Skating Academy, Basic Hockey Skating and Learn to Play Hockey classes. On Wednesdays, beginning Jan. 7, Lunch Bunch, an adult skating class, will be held from 12:30-1 p.m. On Thursdays, beginning Jan. 8, from 4:30-5:15 p.m., there will be Basic Hockey Skating and Learn to Play Hockey classes. On Fridays, beginning Jan. 9, from 10:30-11:30 a.m., Small and Tall with Story Time will be held for preschool-age children, along with an adult. Saturdays, beginning Jan. 10, from 9:15-10 a.m., will feature Skating Academy and Basic Hockey Skating classes. Registration is open, so register today! Registration is available through the front desk or online at www.parkcityice.org . Park City Standup Paddleboarding is offering SUP 101 clinics at the Park City Aquatic Center. The first clinic will be Jan. 3 from 12-1 p.m. The cost of the clinic is $20. Space is limited to 10 people. The clinics will cover picking equipment, proper technique, safety and fitness. The clinics will be taught by Trent Hickman, a Riviera Paddlesurf Pro Team rider, WPA Class II certified instructor, lifeguard and International Sports Sciences Association certified trainer. Participants should bring a notebook, pen, swimwear and a towel. For more information, contact the Aquatic Center at 435-645-5617. Learn to Nordic ski (classic or skate) with Basin Recreation. Qualified instructors will lead groups in short lessons and group skiing on our trails. This is a fun way to get the entire family involved in this popular winter sport. Classes are for beginners and intermediate-beginners ages 8 and up. Session 1 will be on four Sundays -- Jan. 11, 18, 25 and Feb. 1 from 10 a.m. to 12 p.m. Session 2 runs at the same time on the next four Sundays -- Feb. 7, 14, 21 and 28. Session 3 runs on four March Sundays -- March 8, 15, 22 and 29 -- also from 10 a.m. to 12 p.m. All sessions cost $35 or there is a $10 charge for just one class. For more information, visit www.basinrecreation.org or call 435-655-0999. Get ready to shoot some hoops! Basin Recreation's Jr. Jazz basketball will run from Jan. 5 through March 6. Third through eighth graders will play twice a week at Ecker Hill, Treasure Mountain or Trailside Elementary. Player evaluations will be held in early December. Cost is $70. To register, visit www.basinrecreation.org or call 435-655-0999. Though the weather is getting colder, the paddleboard yoga scene is still hot. Join Park City Standup Paddleboarding for indoor paddleboard yoga sessions at the Park City Aquatic Center. Classes will be held at 8 a.m. on Monday, Wednesday, and Friday and at 4 p.m. on Saturdays and Sundays. The cost is $20, which includes all necessary equipment. Visit www.parkcitysup.com for more information. Start your New Year’s resolution to stay fit with Basin Recreation’s New Year’s Day Master Class on Thursday, Jan. 1, from 10-11 a.m. at The Fieldhouse. This master class combines strength exercise with cardio intervals, bands, balls, sprints, circuits and plyometric training. $10 drop-in fee only; no monthly or fitness punch passes. For more information, visit http://www.basinrecreation.org or call 435-655-0999. On Saturday at 10 a.m., White Pine will be hosting the next installation of the Smartwool Wasatch Citizens Series. Everyone is invited to try their hand at the Nordic event. Saturday’s race will be a 15-kilometer free technique race. Registration opens 90 minutes before the start of the race and closes 30 minutes before the race. Tryouts for our competitive club teams will be held at the Basin Rec Fieldhouse on the following dates. 8-and-under, 9U, 10U and 11U tryouts will be held Tuesday, Jan. 6, from 4-5:30 p.m. and Saturday, Jan. 10, from 9-10:30 a.m. 12-and-under, 13U and 14U tryouts will be held Tuesday, Jan. 6, from 5:30-7 p.m. and Saturday, Jan. 10, from 10:30 a.m. to 12 p.m. All interested players must register and attend one or both of the tryout sessions. There is no fee to try out. 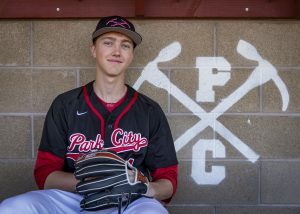 To register for tryouts and for more information, please visit http://www.parkcitybaseball.org/avalanche/ . The PC MARC’s Adults at the Barre class focuses on traditional ballet technique with instruction that includes barre, center floor and movement across the floor while emphasizing correct posture and body alignment. Taught be Joanne Rupinskas, the class takes place Jan. 6 to Feb. 19 on Tuesdays and Thursdays from 1 to 2:30 p.m. The fee is $145. Register by Jan. 4. 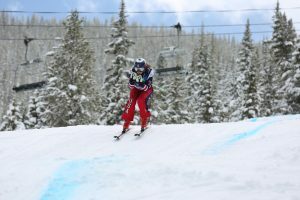 For more info, visit parkcityrecreation.org or call 435-615-5400. PC Recreation’s Youth Karate teaches children life lessons that build self-esteem, confidence, respect and fitness. The next session will be held at the PC MARC Jan. 5 to Feb. 11, and each group meets twice per week. Classes are grouped into Tiny Tigers, ages 4 to 6, Ninjas (beginners 7 and up) and Intermediate Ninja. For info and to register visit parkcityrecreation.org or call 435-615-5400. A presentation on avalanche awareness will take place at the Park City Visitor Center on Feb. 21, 2015, from 10 a.m. to 1 p.m. The presentation will focus on awareness relating to snowshoeing in Wasatch Mountain State Park. Four experienced patrollers and snow safety professionals from the Canyons and Park City Mountain Resort will present a lecture and field demonstration concerning snowpack analysis and backcountry travel safety. The lecture will be in the Visitor Center for the first hour. Then it will travel up to Mill Flats parking lot for a snow pit analysis lesson. Dress to be outside in snow. Midway Adventure is sponsoring this event and the Friends of the Wasatch are providing light refreshments. Please contact Nancy O’Toole at 435-671-1453 or Kathy Donnell at 435-654-1791 with any questions. Early winter classes are starting up at the Park City Ice Arena. Monday classes will run from 5:30-6:15 p.m., beginning Jan. 5. Monday’s will feature Skating Academy, Basic Hockey Skating and Learn to Play Hockey classes. On Wednesdays, beginning Jan. 7, Lunch Bunch, an adult skating class, will be held from 12:30-1 p.m. On Thursdays, beginning Jan. 8, from 4:30-5:15 p.m., there will be Basic Hockey Skating and Learn to Play Hockey classes. On Fridays, beginning Jan. 9, from 10:30-11:30 a.m., Small and Tall with Story Time will be held for preschool-age children, along with an adult. Saturdays, beginning Jan. 10, from 9:15-10 a.m., will feature Skating Academy and Basic Hockey Skating classes. Registration is open, so register today! Registration is available through the front desk or online at http://www.parkcityice.org . Learn to Nordic ski (classic or skate) with Basin Recreation. Qualified instructors will lead groups in short lessons and group skiing on our trails. This is a fun way to get the entire family involved in this popular winter sport. Classes are for beginners and intermediate-beginners ages 8 and up. Session 1 will be on four Sundays — Jan. 11, 18, 25 and Feb. 1 from 10 a.m. to 12 p.m. Session 2 runs at the same time on the next four Sundays — Feb. 7, 14, 21 and 28. Session 3 runs on four March Sundays — March 8, 15, 22 and 29 — also from 10 a.m. to 12 p.m. All sessions cost $35 or there is a $10 charge for just one class. For more information, visit http://www.basinrecreation.org or call 435-655-0999. Get ready to shoot some hoops! Basin Recreation’s Jr. Jazz basketball will run from Jan. 5 through March 6. Third through eighth graders will play twice a week at Ecker Hill, Treasure Mountain or Trailside Elementary. Player evaluations will be held in early December. Cost is $70. To register, visit http://www.basinrecreation.org or call 435-655-0999. Though the weather is getting colder, the paddleboard yoga scene is still hot. Join Park City Standup Paddleboarding for indoor paddleboard yoga sessions at the Park City Aquatic Center. Classes will be held at 8 a.m. on Monday, Wednesday, and Friday and at 4 p.m. on Saturdays and Sundays. The cost is $20, which includes all necessary equipment. Visit http://www.parkcitysup.com for more information.